So there's a little brouhaha goin' down in Metropolis. And frankly, the boys (Superman and Batman) have made a little mess of things. Do you think your girl has what it takes to save the day? If she wants to jump into the fray as Wonder Woman, she's going to need more than sweet theme music to make sure the good guys come out victorious. She's going to need the look of a true hero! 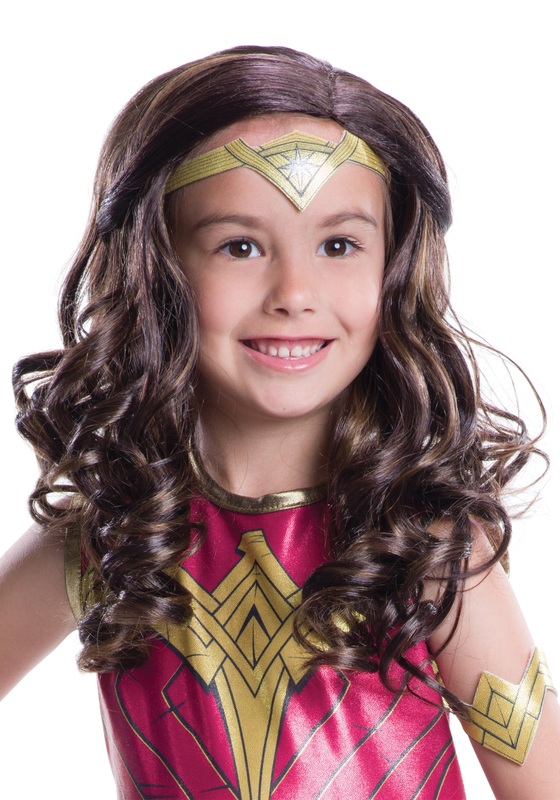 This Dawn of Justice Child Wonder Woman Wig is an officially licensed item from the hit 2016 movie Batman v Superman, and will complete your child's super hero costume. Give her the locks and the look of the Amazing Amazonian, and we're sure that she'll be ready to help save the day!